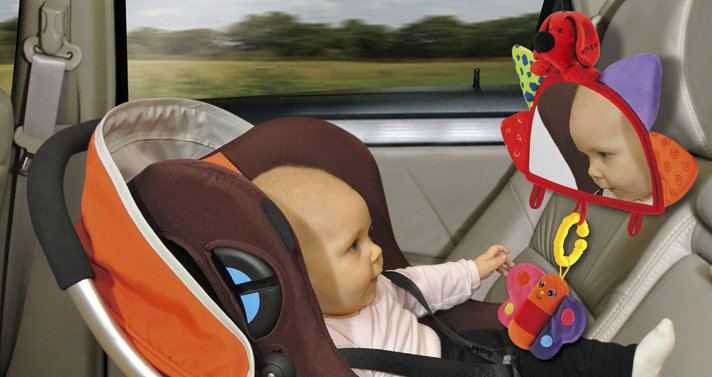 Babies can have their own rear-view mirror in the car now! 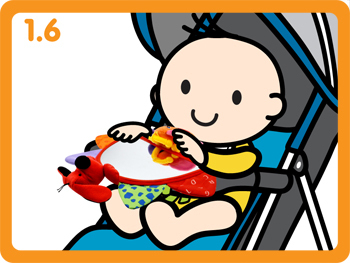 The detachable butterfly toy will jingle along with the ride. For reverse car seats, attach Baby’s Mirror onto the passenger seat’s headrest. 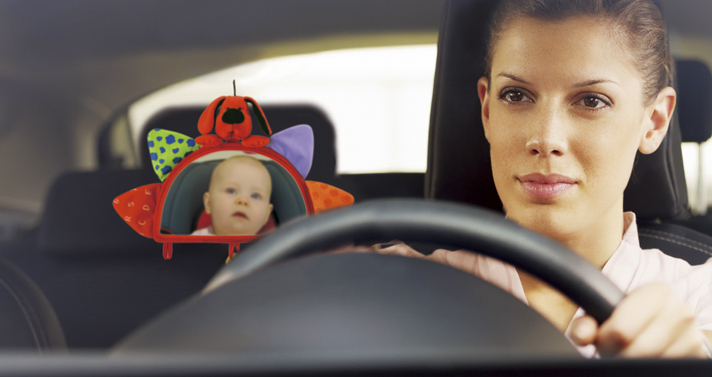 Parents and babies can maintain eye contact throughout the ride! 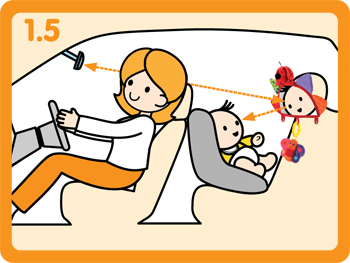 Method: Fasten Baby's RVM to the passenger seat headrest so that your child can observe herself in the mirror. Method: Fasten Baby's RVM to your child’s crib so that she can observe herself in the mirror. 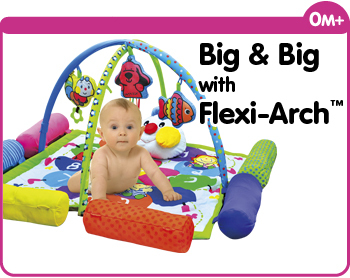 Method: Shake or crinkle different parts of Baby's RVM to create sounds from different directions. 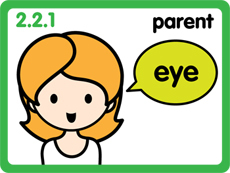 Observe if your child’s gaze follows the sounds. 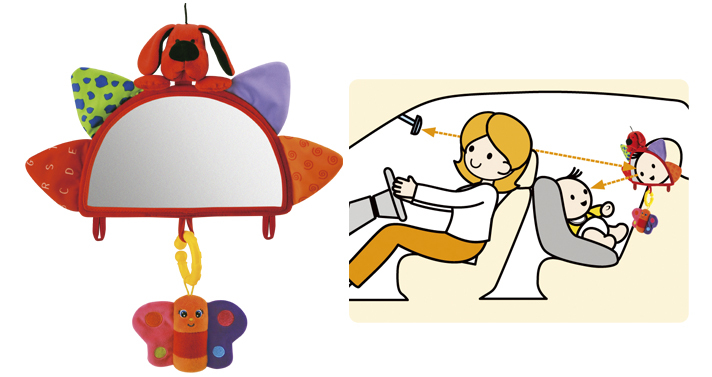 Method: The dangling butterfly moves and makes sound with the movement of the car. 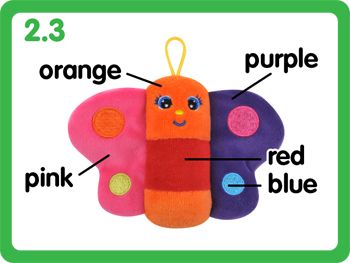 Encourage children to grasp the hanging butterfly. Method: You may observe your child from the front seat through Baby's RVM. 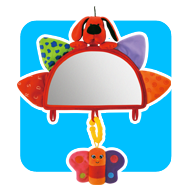 Your child can also see your face through the mirror to stay relaxed and feeling secure. Method: Baby's RVM trio can be strapped to any stroller to keep your child company on the road. 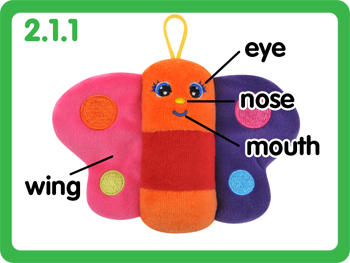 Method: Use Patrick and the butterfly to teach children facial features. 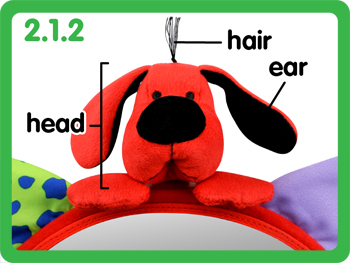 Method: Name a facial feature of Patrick or the butterfly and encourage your child to point to it.